30 Metres from the beach. Every conceivable luxury to make your holiday.. The Beach House Cornwall is a modern gem - a luxurious, contemporary stone beach house with exposed beams - a wonderful blend of traditional materials and superlative modern design. Furnished with fantastic mod cons, the house epitomises comfort and taste. 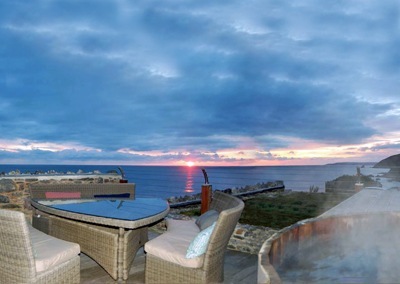 Stunning sea views, and only 30 metres from the beach, hot tub, terrace and marvellous games room - the property offers the ultimate luxury beach holiday. For larger groups the The Beach House can be rented in conjunction with our sister property, On the Rocks (sleeps 7) - which would sleep 16/17 in total. 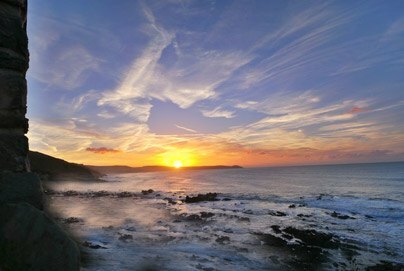 The Beach House is on the edge of a small Cornish hamlet. 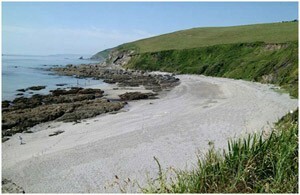 There are two fine beaches, a sandy beach popular with surfers and families and a sand and shingle cove next to the curved quay and 17th century harbour. After a day lazing on the beach or enjoying the surf, the house provides the perfect haven in which to pamper yourself and relax. - Spend a balmy evening in the glorious cedar hot tub on the terrace. 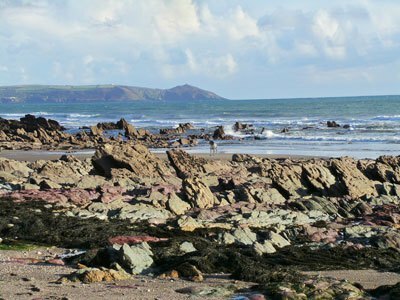 A glass of champagne in hand, listen to the sound of the waves and gaze up at the canopy of stars over the expanse of Whitsand Bay. - The master ensuite bedroom has a fabulous Villeroy & Boch hydrotherapy bath - let the jets of water massage the tension away. - Steam away your toxins in the steam shower in the family bathroom . - Our local beautician and masseuse offer a wide range of therapies and treatments and can visit by appointment. There are plenty of great restaurants in the area, and the local hotel, pub and restaurant is also only 5 minutes walk away. For that special meal why not hire our local chef? Georgie, who trained under Rick Stein, prides herself on using fresh, high quality, locally sourced produce. There is plenty for energetic types too.... 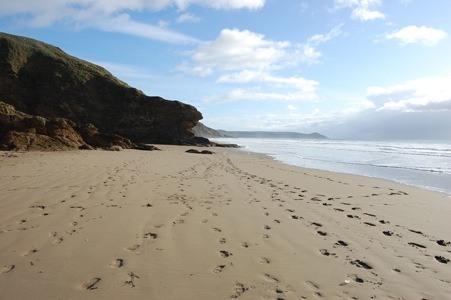 The south west coastal footpath and a golf course are virtually on the door step. Go Karting, Tennis, boat trips, fishing trips, riding and numerous stately homes, are all within easy reach by car. The fabulous Eden Project and the Lost Gardens of Heligan are within 30 minutes drive. Explore our web site and see for yourself !!!!!! !